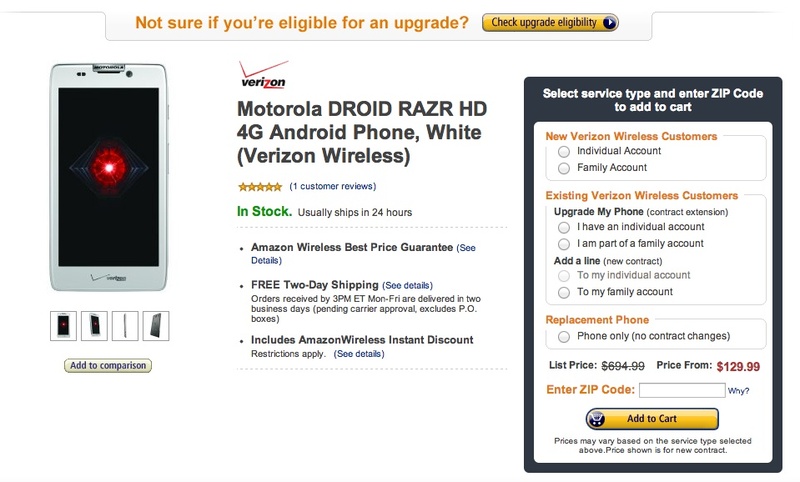 Last night, Amazon dropped the price of the DROID RAZR HD (in both colors) and the RAZR MAXX HD to $129 and $179, respectively. These prices are for new customers only, but existing customers with upgrades can still nab each for $149 and $199, which is cheaper than most other retailers. We had a chance to review both phones and came away very impressed. It may not be the top phone on the block, but it is certainly one of the best built, polished, and bug-free phones we have had a chance to review in a while.